What Is Cervical Spondylosis & Can Chiropractic Help? 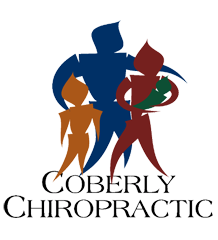 – Coberly Chiropractic, Inc.
What Is Cervical Spondylosis & Can Chiropractic Help? As we age there are certain changes that take place in the body. The spine gets a lot of wear and tear because it is the primary supportive structure that does everything from keeping the head upright, to providing a pathway for neural impulses, to providing mobility. It’s no wonder that there comes a point where the body simply does not function like it once did. Cervical spondylosis is a broad term describing a condition that is related to the natural wear and tear on the disks in the neck. Also known as neck arthritis or cervical osteoarthritis, cervical spondylosis is very common in elderly patients, particularly in those over age 60. In fact, more than 85% of people over 60 years of age have some form of it, usually with few or no symptoms present. It does get worse with age, though, so it could progress to the point where the patient does experience pain, reduced flexibility, stiffness, lack of mobility, or other symptoms. 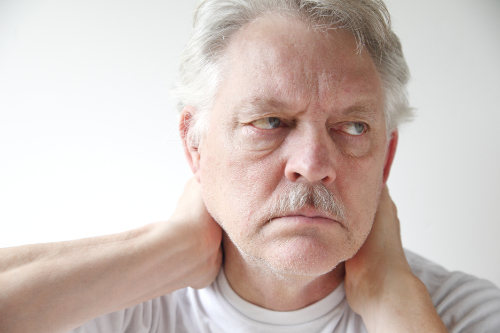 Cervical spondylosis is a blanket term that is used to describe a number of conditions and while it is usually considered an age-related condition, it can have other causes as well including heredity. This condition often begins with changes in the disk. With age, the disks in the spine and neck will dehydrate. This causes them to shrink, leaving little or no padding between the vertebrae. As a result, the patient may develop signs of osteoarthritis and in some cases, bone spurs. Depending on how the condition progresses and presents, it can be a cause of chronic pain. What are the Treatments for Cervical Spondylosis? Treatment for cervical spondylosis involves relieving the symptoms. There is no way to reverse the effects that it has on the body so treating the pain, stiffness, and other issues that accompany the condition is the course that is usually taken by doctors. Depending on the exact symptoms, treatment may include using an ice pack, bed rest, warm compress, and low impact exercise as the patient is able to handle it. The doctor may recommend an analgesic or nonsteroidal anti-inflammatory drug (NSAID). In cases where the pain is severe and difficult to manage, they may prescribe a narcotic pain killer, a steroid, or a muscle relaxant. They might also combine drug therapy with physical therapy. In very severe cases the doctor may recommend spinal injections or surgery. Some common surgeries for cervical spondylosis include intervertebral disc arthroplasty, invertebral disc annuloplasty, and spinal fusion. In many cases, soft collars, rigid orthoses, molded cervical pillow, or a Philadelphia collar may be recommended to provide support. However, many doctors believe that these methods are not entire effective and that any benefit the patient receive is largely due to a placebo effect. This is because the neck is still mobile and does not have much restriction of movement. If used properly, though, it can provide some support. This means that the patient needs to wear it as much as possible when they are not sleeping. In many cases, the medications have unpleasant side effects and some can even be harmful. This is especially true with prescription pain medications which can be addictive. Surgery is also not a preferred treatment due to potential complications, the invasiveness of the procedure, and the length of time it takes to heal. Often patients seek other forms of treatment that are more natural and gentle on the body. Chiropractic is one of the most popular treatments for cervical spondylosis. Chiropractic is a popular treatment for cervical spondylosis. Many patients gravitate toward it because it is non-invasive and does not use harmful medications. Its natural, whole body approach makes it an appealing treatment method. In addition to spinal manipulation, the chiropractor may use massage to help relieve stiffness and pain. He or she may also recommend ice or heat, rest, stretching, lifestyle changes, and even dietary modifications. Patients may be advised to remove foods from their diet that increase inflammation and taught special exercises that help keep the neck supple. Some chiropractors recommend special supplements to help work with the body enabling its natural ability to heal itself.